Google had been toying around with the idea of Android apps for Chromebooks since last year’s I/O conference in San Francisco. After a myriad of hit-and-miss trials, we finally got a proper feel of Android on Chrome OS with the spring release of Samsung’s Chromebook Pro. 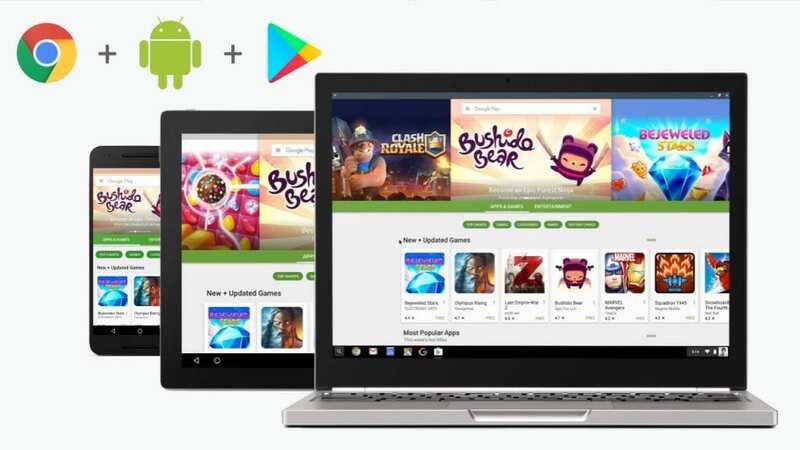 Although the Android apps are still in beta – functionality excludes window resizing, split-view, and docking to the side of the screen – regular users of the Chromebook can now access them out of the box. The support of Android applications by Chrome OS has so far been met with positive views, at least for the most part. The additional functionality means relentless Chrome OS critics have one less item to list when comparing the platform to the likes of Windows and Mac OS. Thanks to a full-featured Google Play Store, the Chromebook can do pretty much everything its presumably more robust counterparts can. Add that to a lighter ecosystem and better battery life, and you get an operating system that’s as convincing as it has ever been. On the other hand, some skeptics have taken to the internet to highlight how Android support seemingly erodes the simplicity of Chrome OS. The concern here is that, although Chrome lacked in more ways than one, some users loved it for merely sticking to the basics. Sure, that may be something for minimalists think about, but if you’re worried that Android may corrode your beloved Chrome OS experience, you have the simple choice of not installing any apps. With that out of the way, we’re left with nothing other than good things to say about Android apps coming to Chrome OS. While they’re still a little rough around the edges, Kan Liu – the senior product management director for Chrome OS – says the apps are ready for most users, and that Google is relentlessly working to finish polishing the “power user” cases involving resizing windows, split screen, and other Android Nougat features. Lurking in the midst of a happy lot of Chromebook enthusiasts are tablet lovers, who are uncertain as to what Android apps in Chrome OS mean for the dwindling niche. As if the cut-throat competition from iPads wasn’t already hard enough for the Android tablet, it now has to deal with Chromebooks, which threaten to offer much more than just oversized smartphone applications. In truth, however, Android-ready Chromebooks are just another blow to the already dying tablet breed. While slates were meant to offer the best of both the smartphone and the computer world, their failure to strike the right balance between the two eventually lead to their downfall. Consequently, many users were left with devices that could hardly pass as laptop replacements but were too big to be smartphones. Unsurprisingly, therefore, tablet sales have slowed in recent times. Instead, both manufacturers and shoppers are putting more money towards slim Ultrabooks, feature-packed 2-in-1s, and most recently, Chromebooks. Because of several understandable reasons, Chrome OS has long been regarded as Android’s under-achieving younger sibling. For starters, Android tablets have always been more powerful than Chromebooks. With flagship models mimicking the attractive specs of popular high-end smartphones, Google’s internet-reliant laptops rarely stood a chance. Then there was the even more pressing issue of limited apps, which restricted the use of Chrome OS to just browsing the internet and typing documents. Today, however, the situation is changing drastically. The Samsung Chromebook Pro is remarkably endowed, packing a robust Intel processor and a decent 4GB of RAM. And, with full access to the Play Store, the new laptop has successfully bridged the wide divide between Android and Chrome OS. Similar Chromebooks from other manufacturers are already on the market, which means users now have devices that offer smartphone and laptop functionality in ways that Android tablets never could. In addition to software upgrades, 2017’s lineup of Chromebooks also comes with designs and extras that incorporate the learnings of the Android tablet experience. The Samsung Chromebook Pro, for instance, sports a QHD display and a microSD slot, and can even transform into a tablet, thanks to its 2-in-1 capabilities. Likewise, the newly announced range of ASUS Chromebooks combines convertible functionality with a design that’s strikingly similar to that of a MacBook Pro. With Chromebooks now very much on the driving seat in portable computing, we’re bound to see more of the slick design that’s common with flagship tablets coming over to the Chromebook world. What’s Next for Android Tablets? As focus by Google and third-party manufacturers shift to Chromebooks, one can’t help but wonder what this means for Android slates. The AMA brought to right the “interesting overlaps” that Android has had with Chrome OS and emphasis was made on perfectly syncing the platform across tablets and Chromebooks. More speculation on a possible merging of Android tablets and Chromebooks stems from Google’s flagship Pixel C tablet. Following the slate’s disappointing run, Google is yet to comment on whether we’ll be seeing any more of them. Nevertheless, a Chrome OS-based Pixel C would have probably done better than the Android tablet did. So, if you’ve been wondering what Android in Chromebooks means for Android slates, here’s a good guess: they will soon be replaced by Chrome OS tablets with a real PC operating system and support for real Android apps. This kind of device will probably have a better chance at success competing with market leaders like the Microsoft Surface Pro 4 and the iPad Pro. The Android tablet’s star has been burning out for a while now, thanks to many uninspiring devices, large-screen smartphones, the slimming of laptops, the emergence of 2-in-1s, and now the arrival of Android apps to Chromebooks. With so many devices that can do the tablet’s job better, its use has been reduced to web browsing, light reading, and Netflix. It’s therefore as good a time as any for manufacturers to start thinking about the next phase of tablet innovation. Perhaps Chrome OS is the savior the dying breed desperately needs.